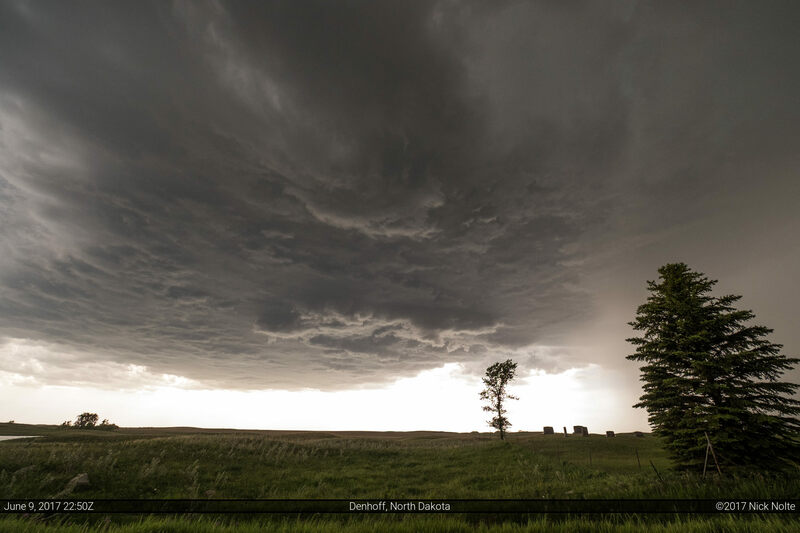 I had delayed my chasecation from May into the middle of June as CFS forecasts showed an unusual lull in severe activity during peak season, but finally the second week of June looked like decent chances for severe weather throughout the week including a potentially significant day on the High Plains on the 12th. 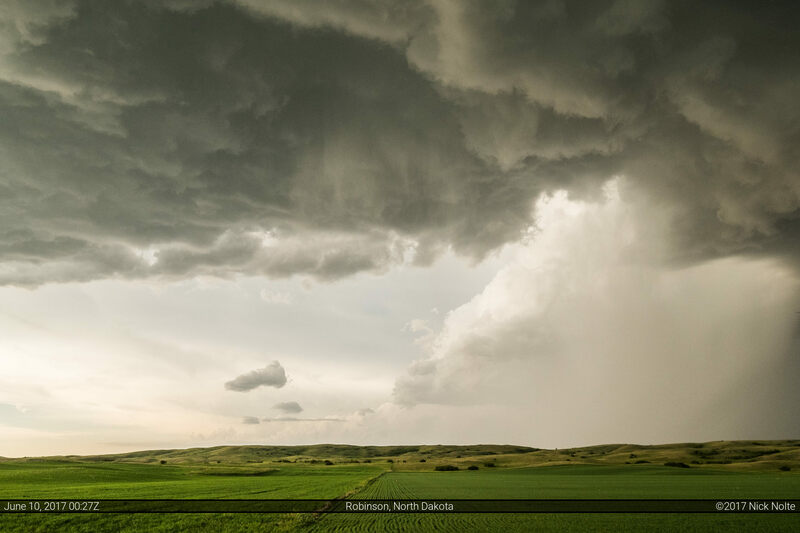 June 9th featured a surface low in Montana that was progged to translate eastward into North Dakota bringing with it a warm front that would be modified by overnight convection. 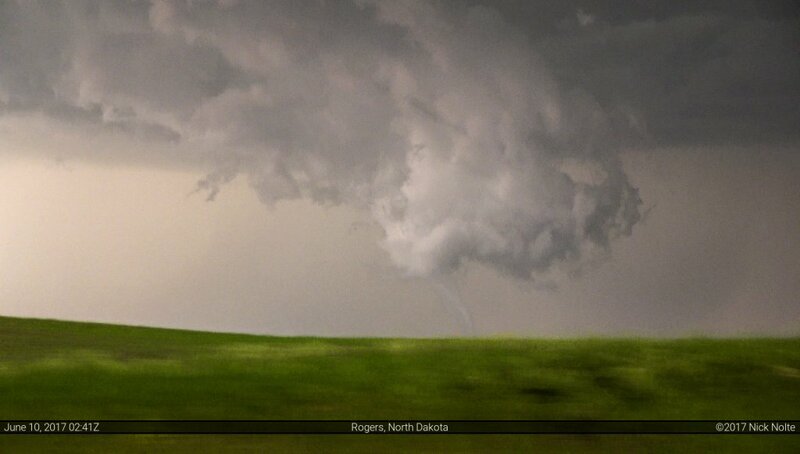 The SPC had issued a 5% tornado risk for North Central North Dakota. I took off from Grand Island shortly before 6am knowing I had a nine hour drive north to Jamestown. The gameplan was just to hit US 281 and go north. I arrived in Jamestown just after 18z and decided that wasn’t going to be north enough, so I continued on towards Rugby. 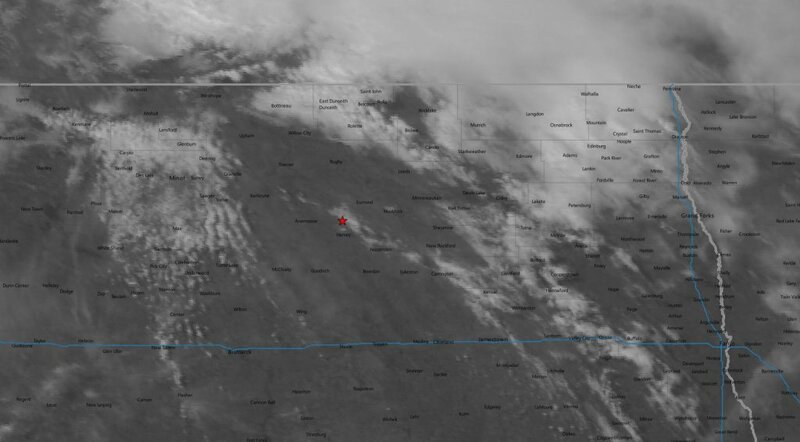 On the way there, visible satellite started to show a developing cumulus field to the west. Shortly after a mesoscale discussion was issued indicating a severe thunderstorm watch was likely as SPC highlighted the increasing cumulus field along the warm front and surface thermal axis and initiation should occur soon as the surface low migrated eastward. Arriving in Rugby, I met up with a few other chasers congregating at a local gas station. 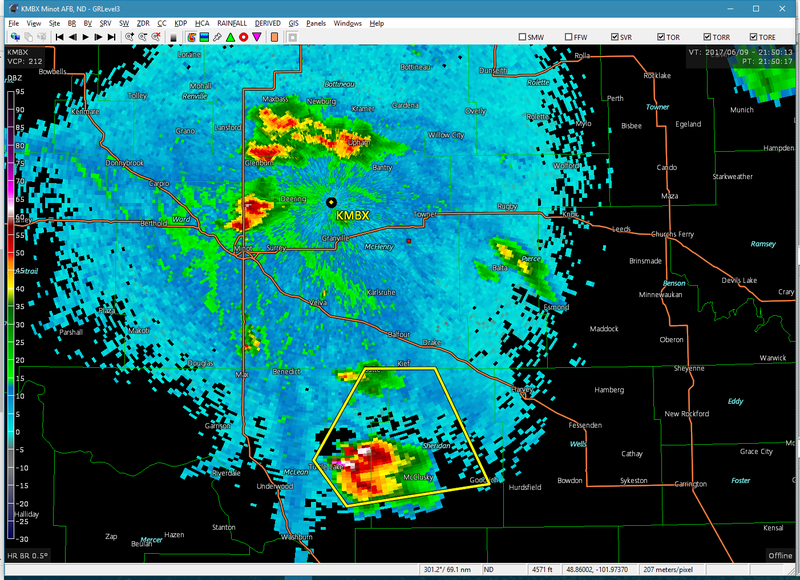 Shortly after 21z the first cells fired north of Bismarck as well as a cluster northeast of Minot. I had to make a decision to stay on the cluster of developing storms to my west, or head south to the exploding isolated cell. I opted to go south. While en route, the cell split and a left mover advanced to the northeast while the right mover turned east and rapidly strengthened. Storm didn’t look great at this time, but I stuck with it to see if anything would come of it. Tracking it east the storm morphed into different shapes and modes looking very beautiful at times, but not likely to drop a tornado. The storm had other ideas as the sun continued to set. Putting on a gorgeous display of orange and pink colors as dusk settled in, I continued to track the storm east. 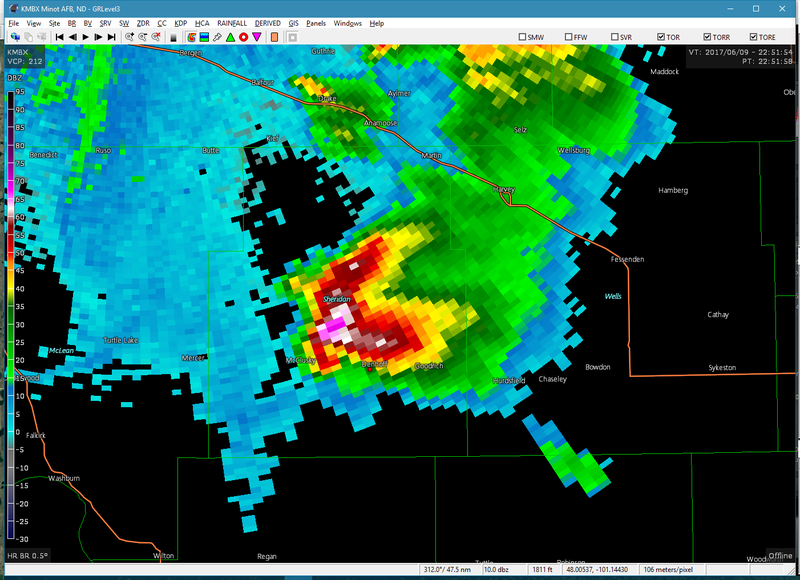 Eventually, north of Rogers, the storm spawned a brief tornado to my north. 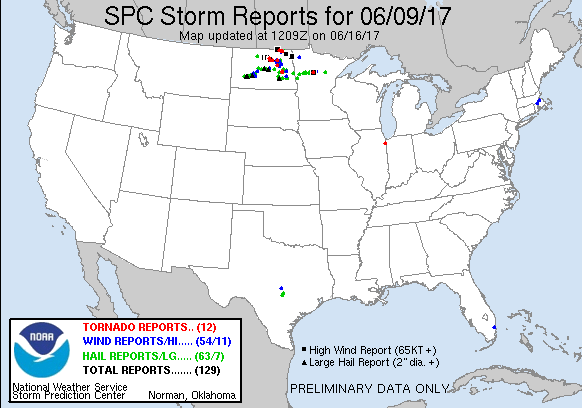 Pretty decent first day of the chasecation although the next two days looked extremely marginal prior to the big day on the High Plains. 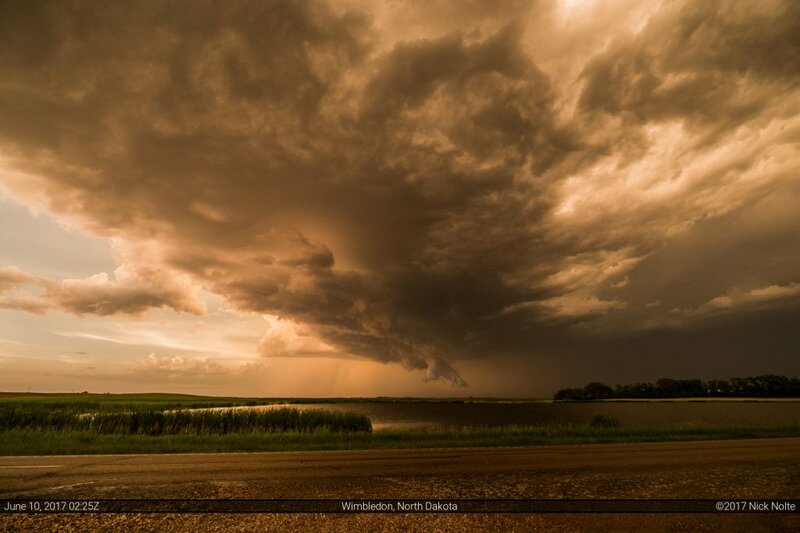 Anticipating a chance at storms in Minnesota the following day I began the drive to Fargo for the night.